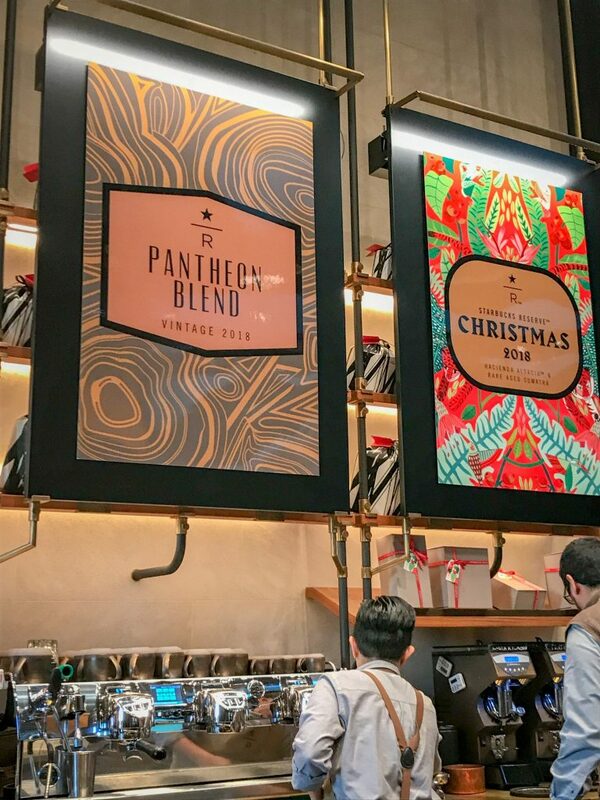 Now I thought I would be the absolute last person in the world to be writing about Starbucks on my blog. Having run an independent coffee shop for a number of years I really do try to avoid Starbucks like the plague. The coffee is usually very badly made in the UK and far too big in terms of portion size. I’m a cortado or a most a flat white kinda girl and so the uber lattes on offer never appeal. 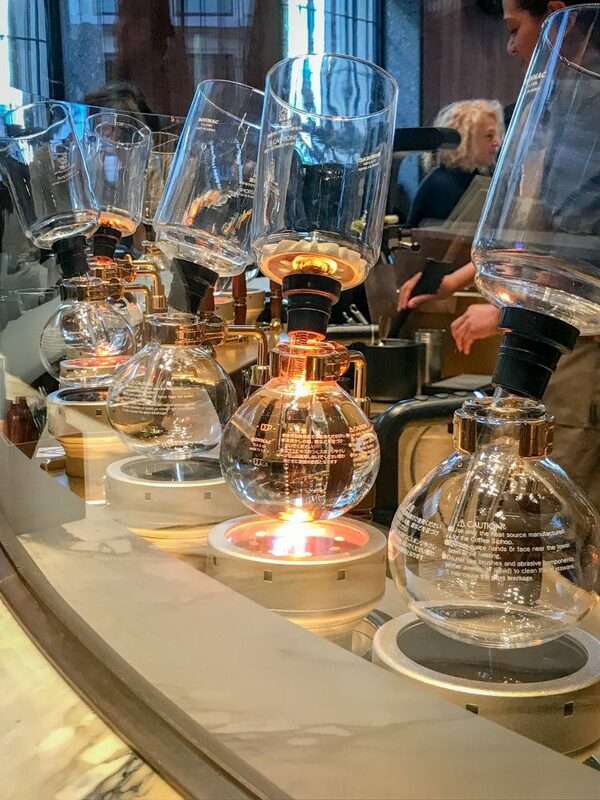 BUT – And this is a very big but – I happened to be in Milan for my birthday for work recently and I could not resist checking out the new Starbucks Milano Roastery. 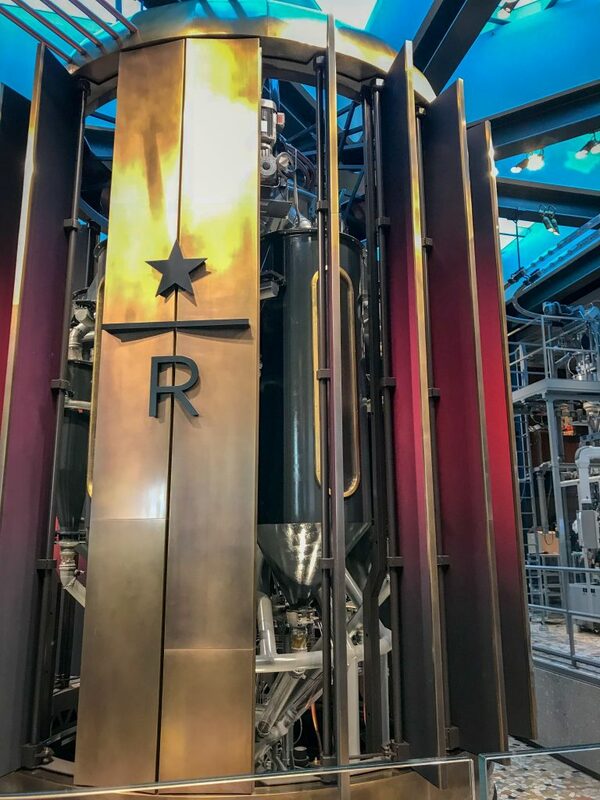 Firstly because it is one of just four Starbucks roasteries in the world. – Shanghai, Seattle and New York being the other three. I have bookmarked the latter to visit for later this year when I am over there for a conference,. Secondly because it’s like no other Starbucks you are likely to have been in. 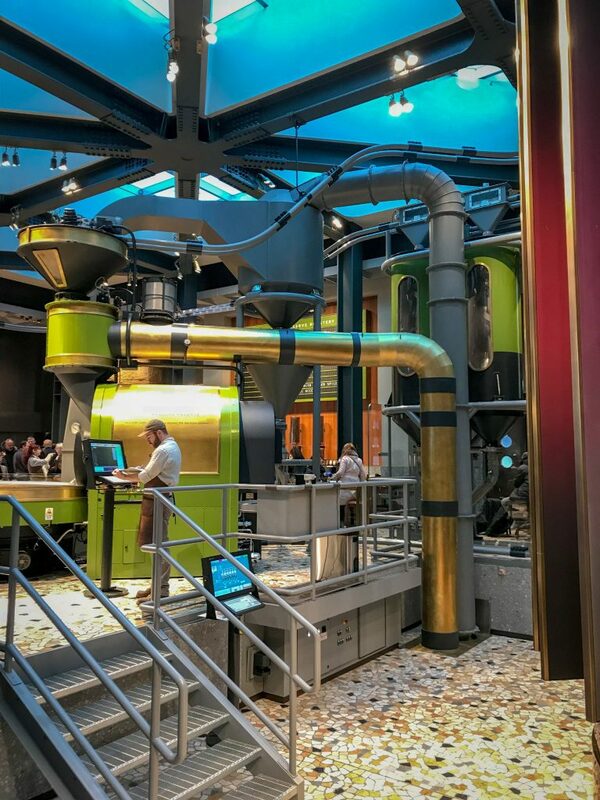 Centrestage is the Scolari Roaster which has been custom built and roasts Starbucks Reserve coffee to be shipped out. You can watch the master roasters at work and they’ll take questions too from time to time even from those like me who speak incredibly bad Italian. Thirdly it’s an experience. There’s an awful lot of theatre aside from the beautiful roaster. 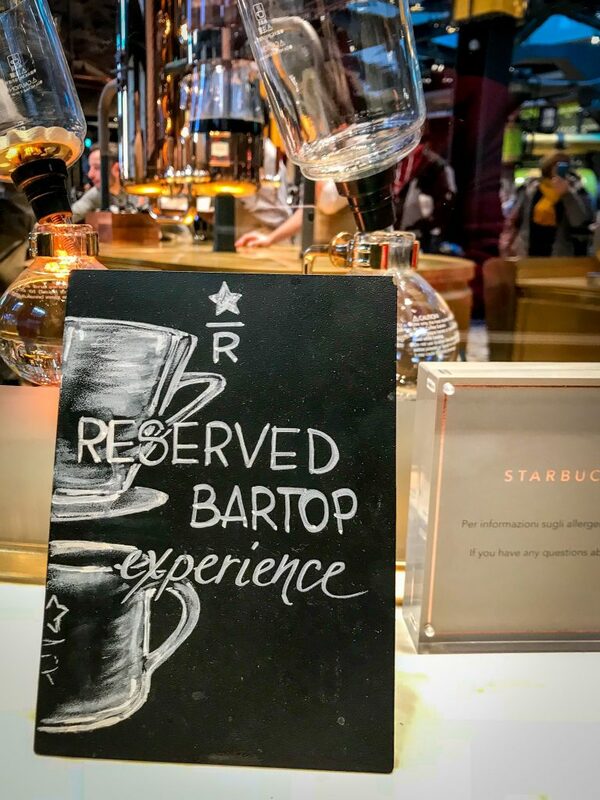 You have the Bartop Experience where you can be guided by the Bar Barista through a range of coffees. It’s certainly a tasting menu with a difference. The 12 metre bar is heated and carved from a single piece of marble. Certainly felt very special and spoiled on my birthday sitting here. 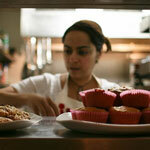 Fourth – you get more than just a coffee here. The choice is incredible. 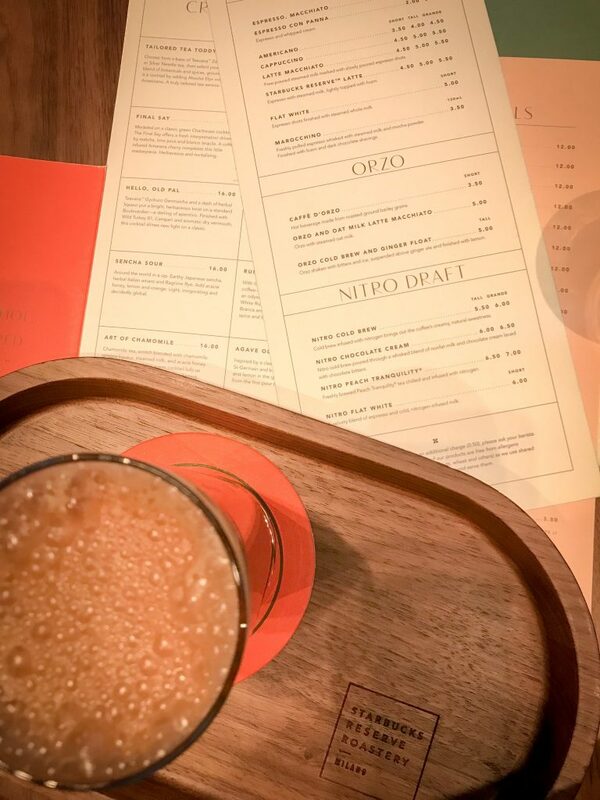 There are the traditional espresso coffees as you would expect but you’ll also find other brew methods – nitro draft, siphon, pour-over, Chemex and Clover brewed. The latter is there own full immersion vacuum filtration method. And finally there’s a bar. 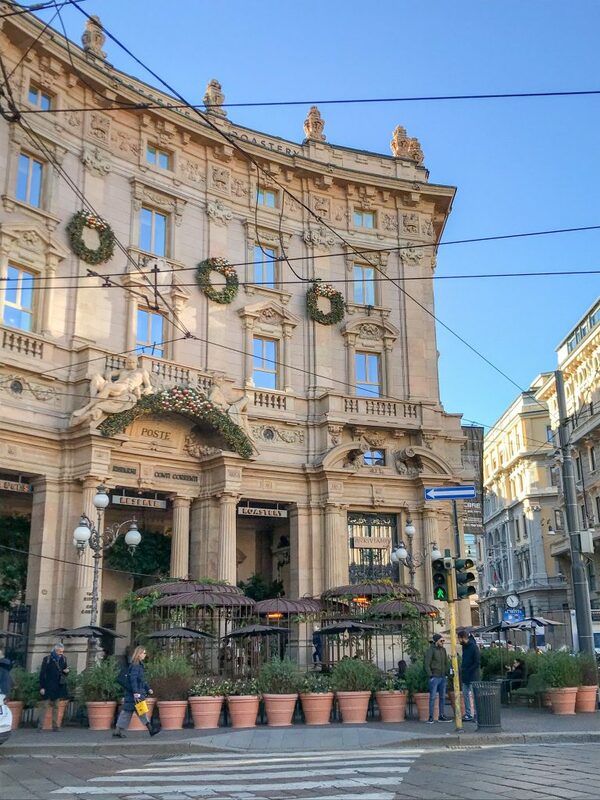 The Milano Roastery is housed in an exquisite Milano building and is open until 10pm. It’s right at the top of the building and so you can look down at the hubbub below with a wonderful coffee buzz. 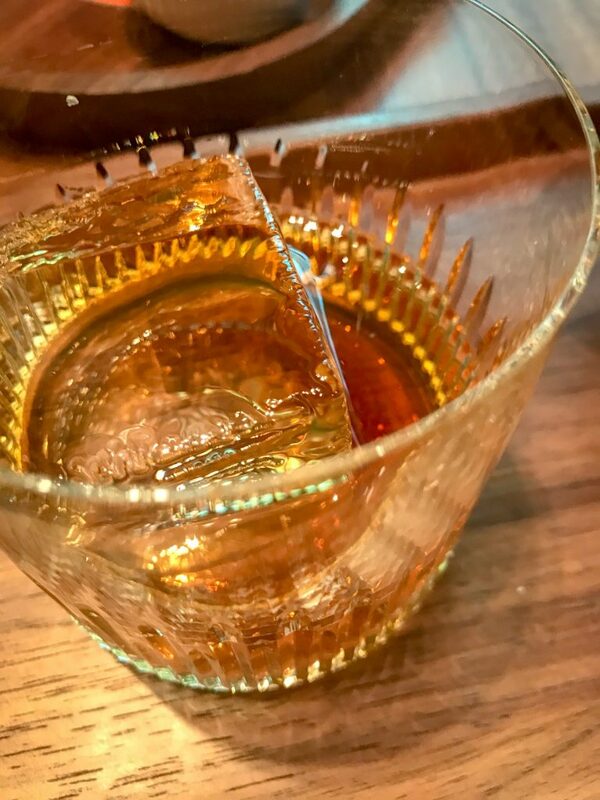 I had the Roastery Old Fashioned – Nikka Taketsuru Pure Malt Japanese whisky with Starbucks Reserve™coffee, balsamic from Modena, a rich maple syrup, and Caffo Amaro del Capo. It was the first time I had ever drunk an old fashioned as I am not a huge whisky fan but it was delightful. As was the chunk of aged parmesan I had with it. 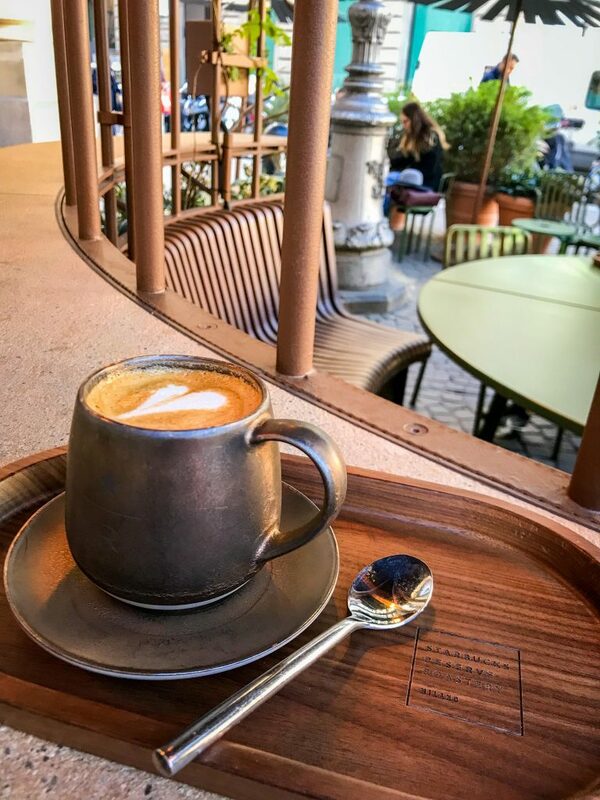 I felt rather light headed after the cocktail so I had one final cortado before I left in the beautiful heated garden right outside. I walked away buzzing and all set for my day of meetings ahead. It was an absolutely fantastic treat amidst a busy schedule. If you’re in the city I would highly recommend it as it’s barely 10 minutes walk from the Duomo. What do you think? Are you a Starbucks fan or do you loathe them? Have I changed your mind about giving this particular location a go?